What could be cuter than a little head topped with flowers? I can’t think of much! The Lily Garden hat is a sweet beanie to welcome in the spring, and is quick and easy to make for your fresh-faced little one. Picot: chain 1, and slip stitch back into the the bottom of the chain to make a small point. Repeat rows 5 and 6, two more times. Chain 4 and join with sl st to make ring. Round 5: Working at the back of the flower,sc in center of petals (between double crochet’s) from previous round, ch 4. Repeat around until you have 6, ch 4 spaces. Round 6: sl st into loop, [ch 1, hdc, dc, tr, ch 1 and sl st into that same chain to make picot, tr, dc, hdc ch 1, sl st.] *sl st into next ch 4 space Repeat around. Leaving about a 3 ft length of yarn to sew flower on to hat with, Cut yarn, fasten off, and weave in center ends only. Sew flower to top of hat using 3 ft length of yarn. 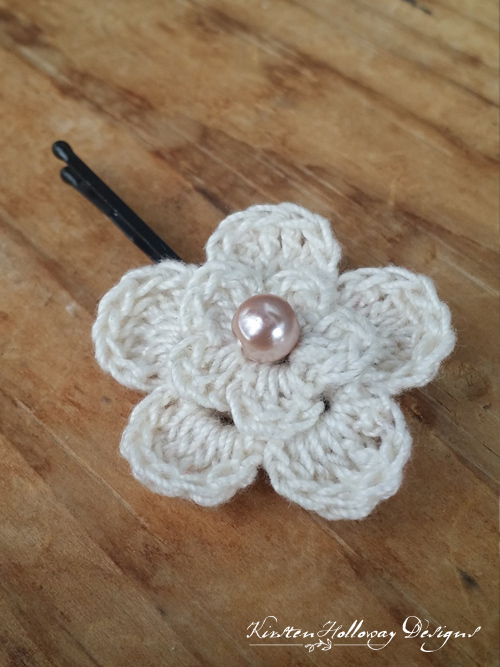 Add a button to the center of the flower to further embellish it if you would like to. 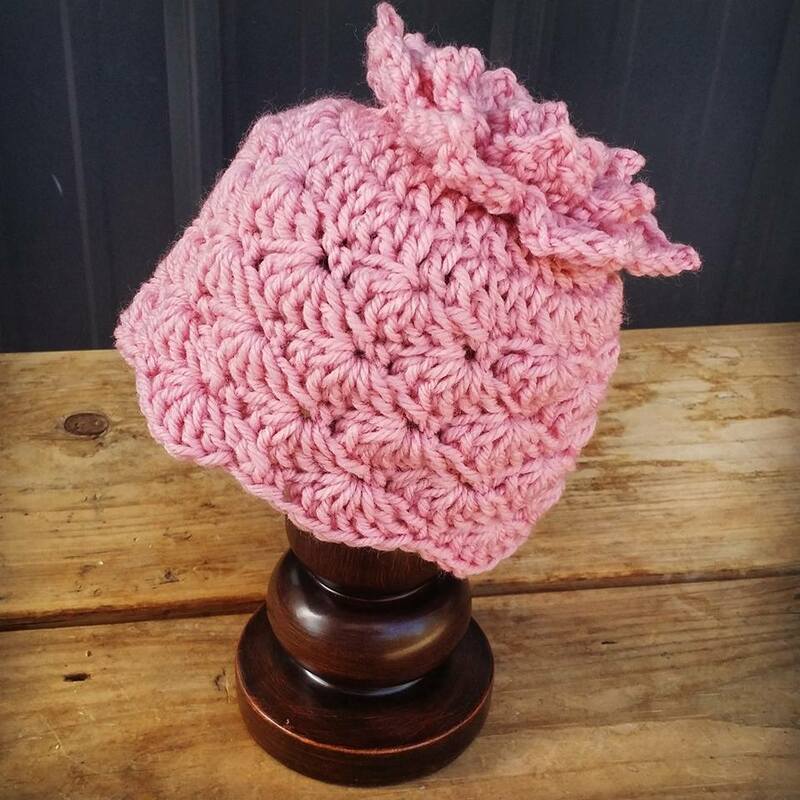 The Lily Garden hat was made to be used by individuals, and small business crocheters alike. 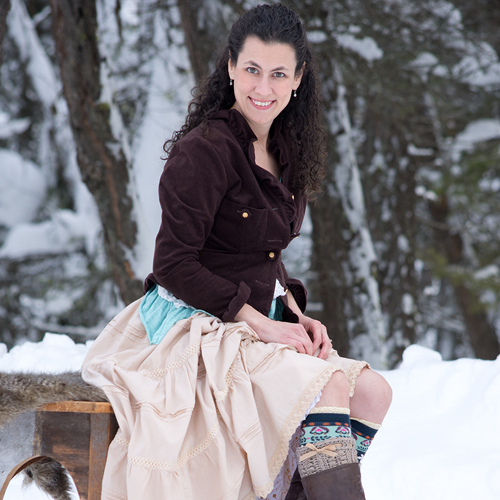 Selling your finished pieces in boutiques, at farmer’s markets, craft shows and other events is encouraged! The only thing I require is that it not be used commercially to produce millions of copies.